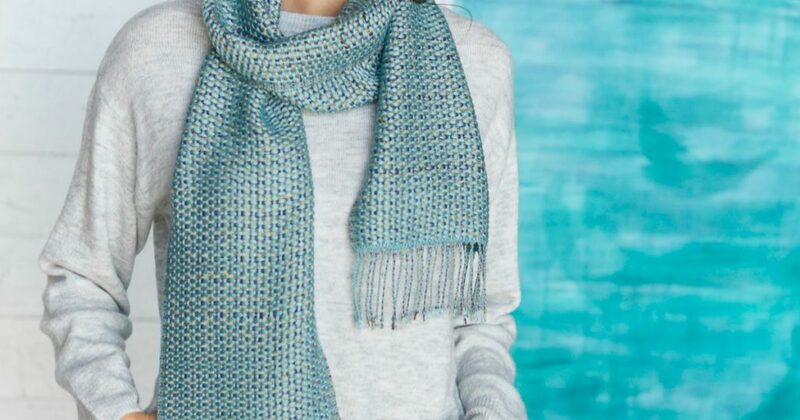 It’s hard not to love Nancy Rimsha’s Turquoise Canvas Weave Scarf. I weave scarves because I like to be done with a project and move on to the next idea, and scarves don’t take too long. They are also a great way to display your handwoven designs. Whenever I come up with a weaving idea, I try to imagine whether it could be a scarf. 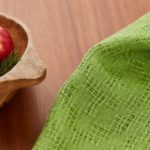 I often use 8/2 Tencel for weaving scarves because it comes in many beautiful colors, is heavy enough for a nice drapey scarf, shines like silk, and is relatively inexpensive. For this project, I wanted an aqua-colored scarf in the canvas weave structure, but I didn’t want all one color. I added contrasting colors to make the scarf vibrant and interesting. The gold stands out and the violet gives a 3-dimensional look, acting as a kind of shadow. EQUIPMENT: 6-shaft loom, 9″ weaving width; 10-dent reed; 4 shuttles; 4 bobbins. YARNS: 8/2 Tencel (3,360 yd/lb; Camilla Valley Farm). 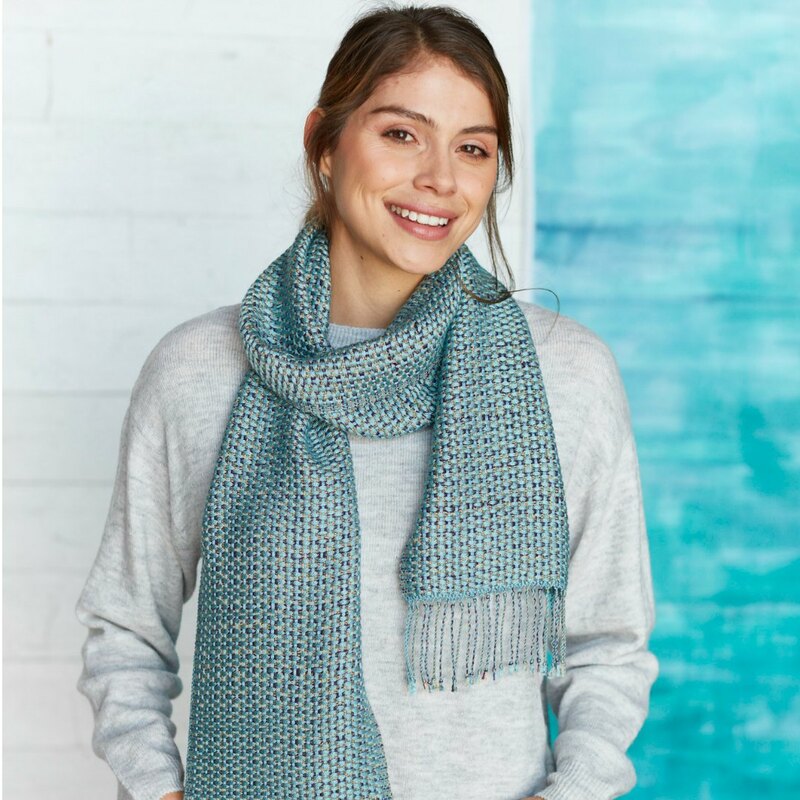 Featured Image: Nancy Rimsha’s Turquoise Canvas-Weave Scarf is shimmering, soft to the touch, and a delight to weave.